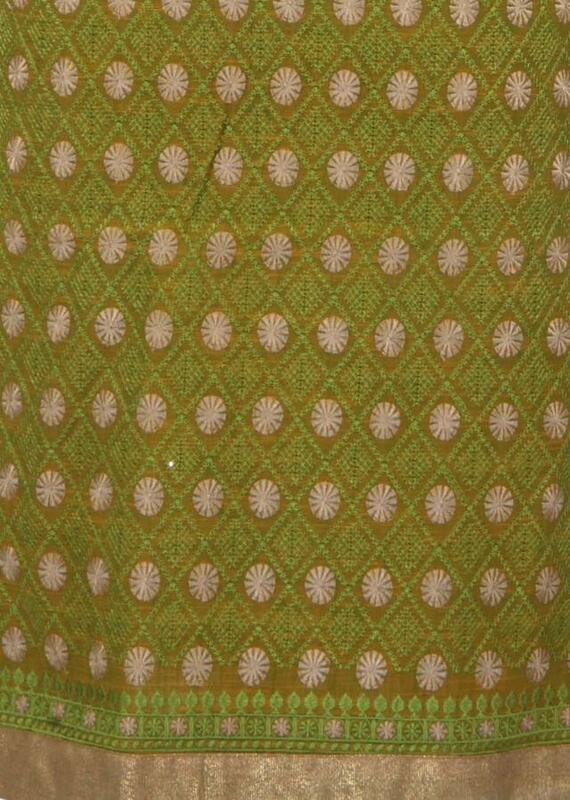 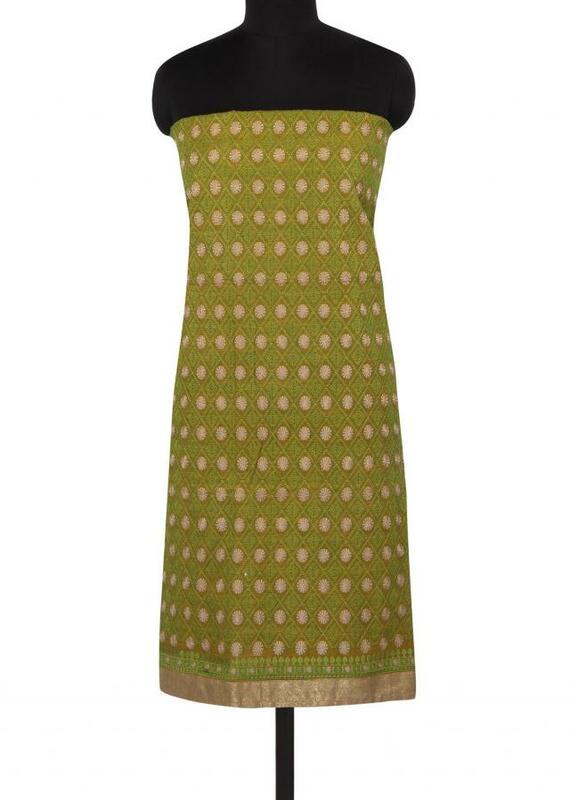 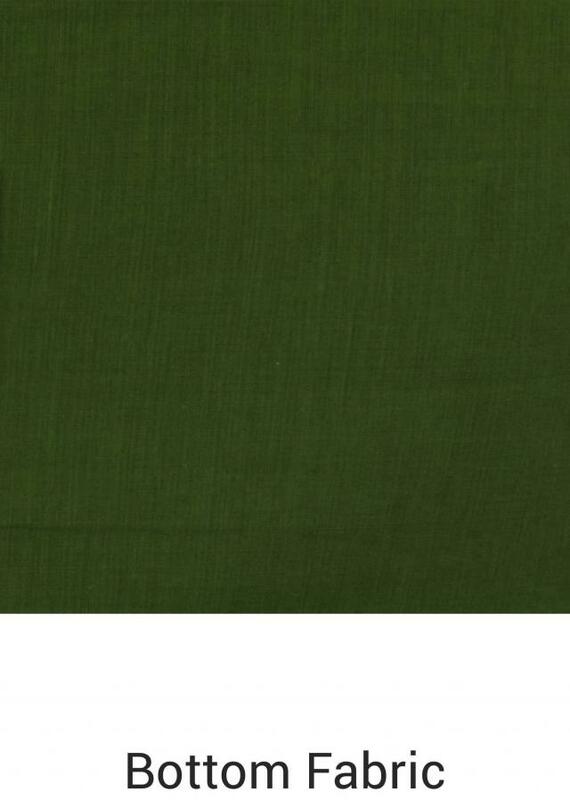 Olive green unstitched suit featuring in cotton. Enhanced in resham embroidery all over. 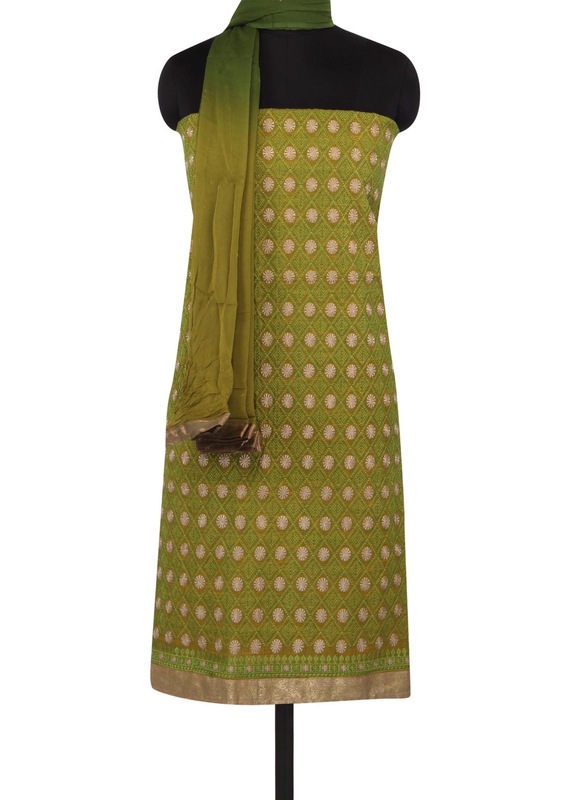 Bottom fabric is in green cotton and dupatta in shaded chiffon.